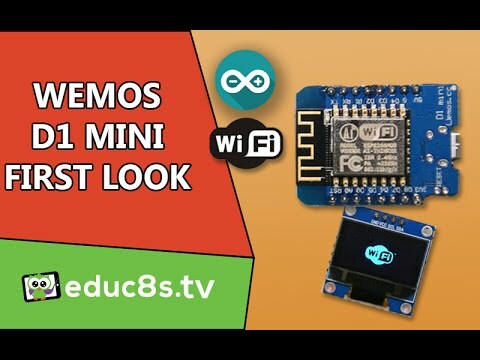 The venerable Arduino Uno is the de facto standard in microcontroller development boards, but there are also other boards that can be hidden in a project to make it “smart.” Some even provide extra features like built-in Bluetooth or WiFi capabilities. While the Uno will certainly be used for years to come, due to its familiar form factor and available accessories, here are nine other options in even smaller form factors to hide in your project. If you like the Arduino Uno, but just want it smaller, then the Arduino Nano provides very similar specs. While the Uno board measures 68.6 x 53.4mm at 25g, the Nano measures only 18 x 45mm at 7g. The Nano gets its size down by eliminating the DC power jack and utilizing Mini-B USB. 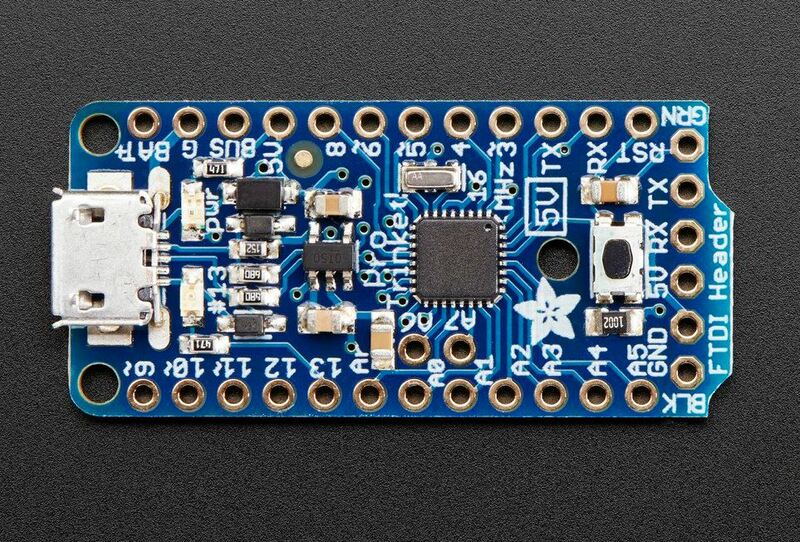 If you’d like to stay within the official Arduino family, the MKR1000 is an excellent choice for its small size and enhanced features. While one of the larger “mini” boards here, it’s still less than half the footprint of the Uno, and is powered by a SAMD21 Cortex-M0 32-bit processor, operating at 48 MHz. Importantly, it includes WiFi capabilities, and also features a real-time clock (RTC), analog output, and built-in Li-Po charging. 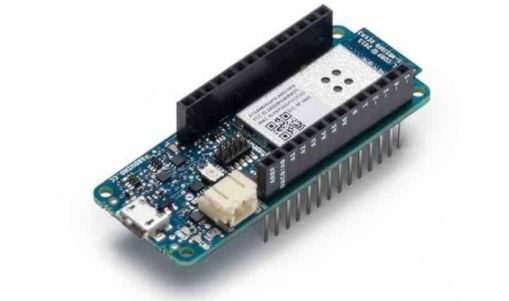 Arduino has even made an adapter board that allows UNO footprint shields to be used with the MKR footprint, which makes industry development streamlined for those who want to scale with the MKR. 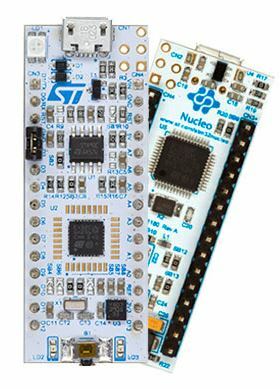 For enhanced capabilities in the same form factor as an Arduino Nano, the STM32 Nucleo-32 series of boards present a variety of options. Available with up to 256K of flash memory, these boards run on a 32-bit ARM processor and can be programmed in a variety of IDEs. Once programmed, they can be used in the same space and with many accessories originally meant for the Nano. 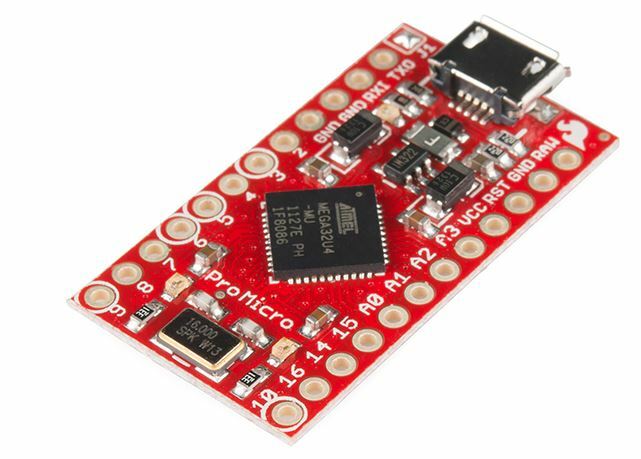 Often referred to as the “Arduino Pro Micro,” this board isn’t actually an Arduino product. 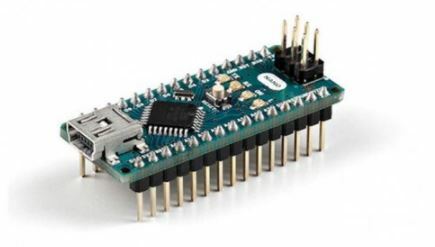 It is, however, similar in function and name to the Arduino Micro, as well as the retired Arduino Pro Mini, which is more closely related to the Nano. 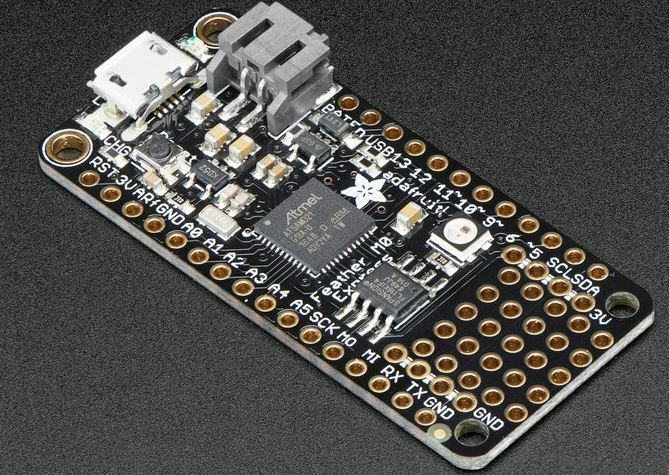 These boards feature an ATmega32U4 chip, allowing them to emulate a USB keyboard, mouse, or whatever human interface device (HID) you desire. 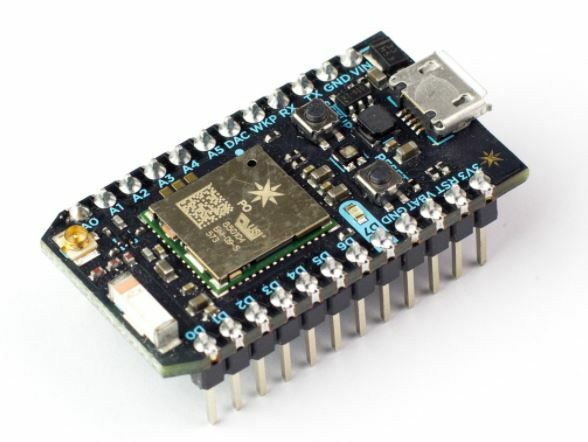 For extreme tininess, it’s hard to beat the Adafruit Trinket. These boards measure in at only 31 x 15.5mm, and weigh 1.85g. This makes them great for wearables, and can even act as USB HIDs. 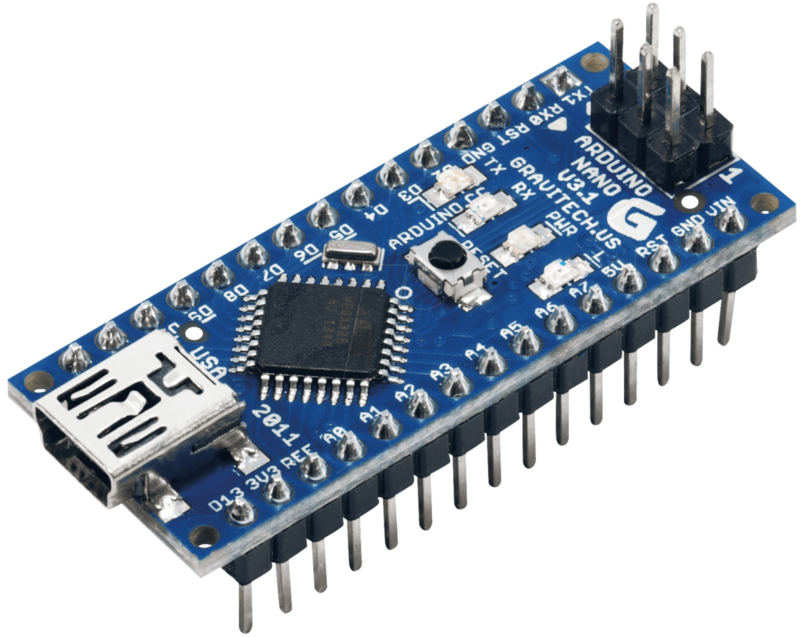 A limitation of this device is that it uses an ATtiny85 chip, allowing for only 5 GPIO pins, two of which are shared with the USB interface. If this is too much of a limit, the Pro Trinket adds more I/O capability in a slightly larger (38 x 18mm) form factor. For an easy way to get your project “to the cloud,” this board features 4MB of flash and is based on the ESP-8266EX WiFi module. This gives it the ability to communicate via WiFi, and features an impressive clock speed of either 80 or 160MHz. 11 digital I/O pins allow for a decent amount of sensing and control capabilities in a small and inexpensive package. For advanced communication capabilities, the Pycom family of Dev boards are certainly worth consideration. 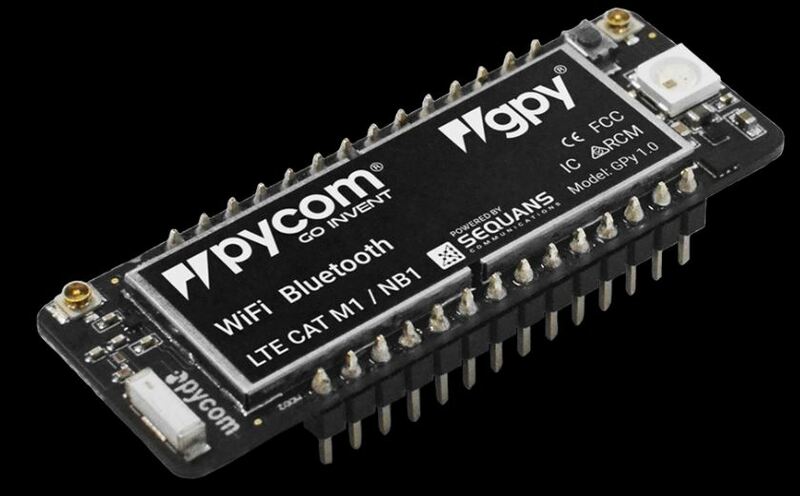 The LoPy, for example, can communicate via LoRa, WiFi, and Bluetooth, while the FiPy board adds Sigfox and LTE-M to this already impressive array of communication options. There are also several expansion boards available, giving them extra sensor capabilities, along with a micro-SD card slot. 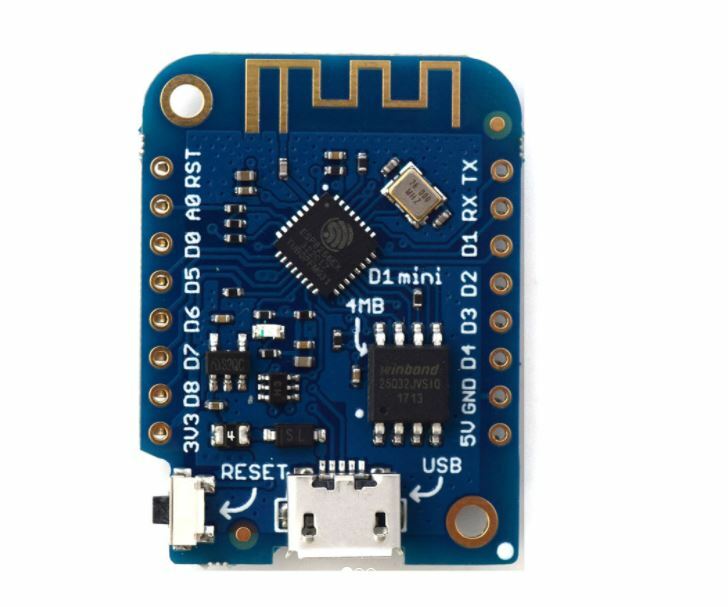 “Flexible, portable, and as light as their namesake,” as Adafruit claims, this series boards features communication options like Bluetooth, WiFi, and LoRa. They have a line of add-on modules known as Feathers. One unique characteristic of Feathers is that in addition to micro-USB sockets, each also features a LiPo battery connector, making them truly portable out of the gate. Particle features boards based on the STM32 platform that can communicate via WiFi and cellular. One interesting innovation in the works allows multiple devices to connect to each other and the Internet in a mesh configuration. This means IoT monitoring and control implementation where it would have been previously impractical or unreliable. All coding done on the Particle platform is done wirelessly through their web IDE that is nearly identical to Arduino’s, making it extremely user friendly as well. 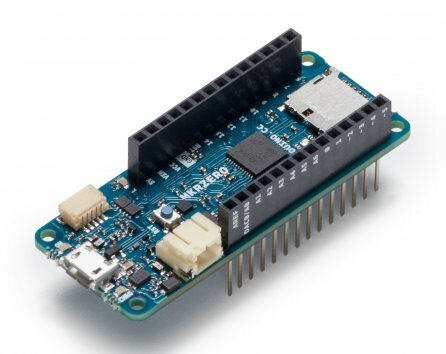 While the Arduino Uno remains the baseline microcontroller dev boards, it’s useful to be familiar with these other options, since each can be utilized for specific purposes. In our eyes, microcontroller development boards are similar to shoes. It is very nice to have a variety of quality ones to choose from, even though you will always have your favorite select few. Jeremy S. Cook and Zach Wendt are engineers who enjoy sharing how electronic components can best be applied in project design. Jeremy writes for a variety of technical publications. Zach works for Arrow Electronics, a major supplier of Arduino products.